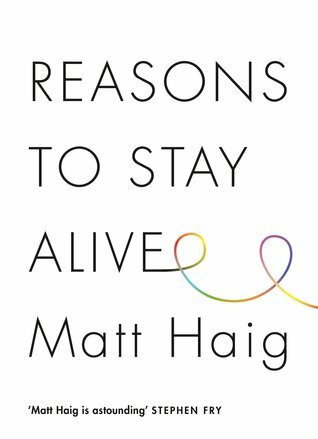 The pivotal moment in Matt Haig’s life came when he was just 24. He stood at the top of a cliff in Ibiza and stared at the edge. Every element in his body was willing him to throw himself off and end the pain of being alive. Something made him stop; he had four people that loved him. Four people that even in his darkest moment meant something to him. Something did die that day, it was the thing that was consuming him from inside. For men, in particular, suicide is one of the biggest killers for those under 35 in the western world. Thankfully, Haig didn’t join the statistics that day. He turned away from the cliff and walked back into a new life. It wasn’t an easy recovery though, he tried drugs, they didn’t work. He cried, suffer panic attacks, wouldn’t leave the house, suffered from anxiety, didn’t sleep, didn’t eat and suffered from the terrible thing that is depression. The black dog for some can be a bottomless pit and this horrible affliction affects huge numbers of people around the world now in a variety of different ways as well as affecting families and those trying to cope with them. But a lot of the problems of this is most people don’t have any idea at all how to support their friends and family that are suffering from it. There are things not to say to someone with depression. But what to say though? Not much, just being with them is more important a lot of the time. Encourage but don’t force the issue. 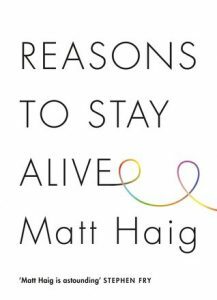 It is not an exhaustive book on the medical ins and outs of the root causes of depression, rather it is a literary response to the very real pain that Haig felt and an expression of the love he has for those that were there for him at his lowest moment. Haig puts his pain into words and if you suffer from any form of depression and anxiety then there are probably words in here that will bring you comfort and relief. More importantly, this is a book that you can give to others so they can gain some insight into the suffering that people are going through. The raw and honest writing is a mix of short chapters and longer, more thoughtful ones and are all full of helpful advice. We probably all know someone affected and in the modern world, this should be essential reading.